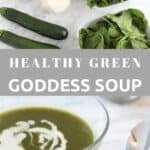 Only good ingredients in this healthy green goddess soup: it’s good for your soul, your body and your conscience. 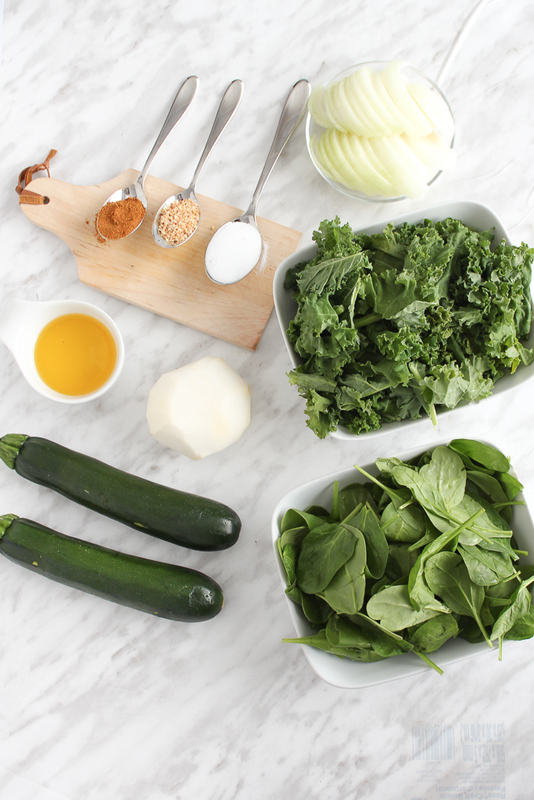 Make a batch of this delicious soup of kale, spinach, and zucchinis flavoured with cumin. The goddess in you will thank you this Spring! This soup is not too thick, the parsnip thickened the soup just enough. You can enjoy warm or cold on the go at work, it’s delicious either way. I think it is the perfect combo with a protein of your choice for a great meal. Truth be told, this green is not the vibrant green you see on magazine. As it cook the vegetables’ colours change but let me tell you that the flavours are still amazing. 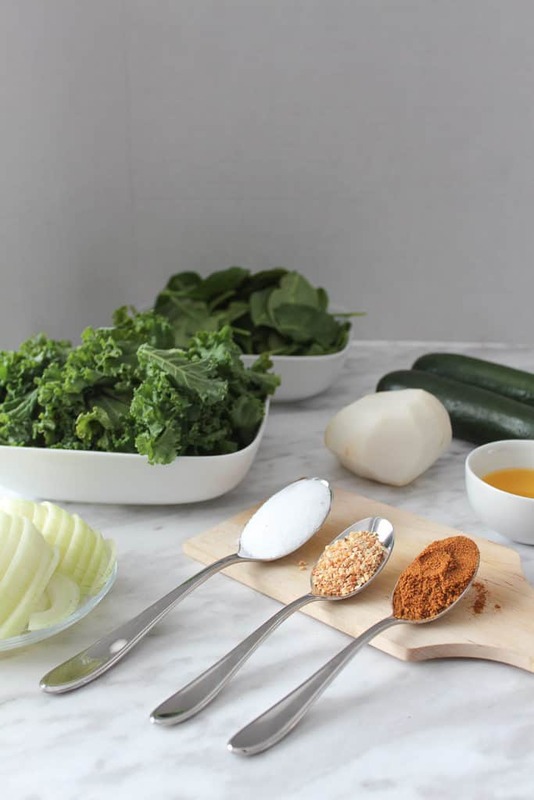 I love eating greens on the regular for different reasons: be an example for my kids (although eating veggies is not a struggle with them) and health. I am not necessarily a sportive person so I try to eat healthy as much as I can. So my ‘lifestyle’ if you want to call it this way is too be as healthy as I can on week days and then I can indulge on weekends. I try to exercise once in a while but it has not been anything regular for the past year or so. I had done the 5K run for the cure, it was an amazing feeling to run with strangers for a very important cause. But also, it was an accomplishment on a personal level as I had never run before! ALL TO SAY: Eat healthy and be active, don’t do like me! Ahaha! I put cumin in it! I choose to add a spoon a cumin in the soup to give an unexpected taste to it. It is NOT strong at all since there is over a liter of broth, it quite diluted. If you are worried it will be too strong for your taste, skip it or put half of a spoon. It was a great addition to the flavours! Be bold and try it! Place a big pot to heat up, once warm, pour the olive oil and then add the onion and parsnip. Let it soften for a few minutes, add the salt, cumin and garlic and let it infuse for a minute or two. Add the zucchinis, kale and spinach and let it cook for 5 minutes. Stir. Add the vegetable broth. Cover and let it cook on medium/low for 40 minutes. Use a hand mixer to puree your soup. Broth: not knowing the brand you purchase (if not homemade) please adjust the salt to taste as store broth can be salty. Leftover: I pour a portion that was left in a mason jar. Easy to grab and go and perfect for my work lunch! I will Definately try this!!! !